Commander: as Syria battles, be prepared for worst-case scenario. The IDF structure of command in the Golan changed this week, with Colonel Oren Cohen replacing Colonel Mounir Amar as head of the Hermon Brigade. “In these days when a bloody civil war is happening just meters from here, we are changing the command of the Hermon Brigade, which is responsible for defending the eyes of the country,” said Brigadier-General Tamir Hyman, speaking at a ceremony in which Cohen took command. Colonel Cohen was a commander in the Golani Brigade during Operation Cast Lead in Gaza. During the operation he was badly wounded in a shell strike. He underwent a grueling rehabilitation process, after which he returned to the IDF and continued moving his way up the ranks. The Hermon brigade is made up largely of reservists from elite IDF units such as Egoz. The brigade also includes the Alpists, an elite unit whose soldiers are trained to fight in snow and extreme cold. Their training includes learning to charge the enemy while on skis or snowmobiles. 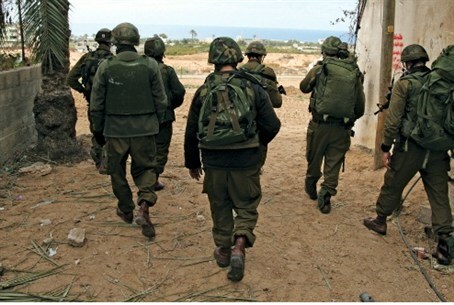 The unit made headlines the past two years due to its work preventing infiltrations from Syria, particularly on Nakba Day and Naksa Day, which reflect the hostile-Arab perspective on the creation of modern state of Israel and its victory in the Six-Day War of 1967.